Urban Decay x Gewn Stefani Eyeshadow Palette | Top Beauty Blog in the Philippines covering Makeup Reviews, Swatches, Skincare and More! This is the beauty collaboration you’ve been waiting for! Urban Decay partnered with Gwen to create her ultimate eyeshadow collection. From her 15 can’t-live-without shades to the super-luxe case, Gwen designed and developed her perfect palette. "We spent countless hours at Gwen’s house, talking makeup and working closely with her on every detail. We carefully crafted the shadows with Gwen filling a void by creating the exact shades she always wished she had in her collection. 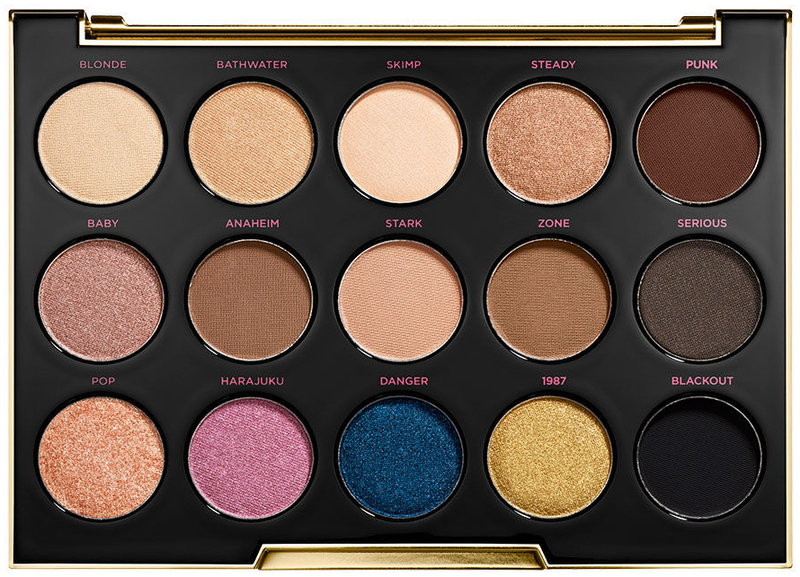 We loaded this palette with her 15 must-have shades of Eyeshadow (12 are NEW, and three are from the UD shadow collection). With an insane range of neutrals and a few jewel tones to mix things up, this is Gwen’s go-to kit to achieve her most iconic looks. And with these shades in your arsenal, you’ll have everything you need to recreate these signature looks for yourself. When we say Gwen collaborated with us on every detail of this palette, we mean it—right down to the case, which was inspired by her love of black-and-white graphic prints and antique gold accents. She also handpicked most of the shade names, which were based on her songs. There’s even a nod to the No Doubt song “Magic’s in the Makeup” on the palette’s huge mirror. This palette is so beautiful. Oh my gosh! I'm lemming for this now!